Looking For a Coffee Shop with Spirit, Madagascar Vanilla, and Afro Phil Beans? Welcome to Agape Coffee House in Payette, Idaho. Located on the corner of the 95 and 1st Avenue South, Agape Coffee House caters to every java and kinship need as they welcome everyone to either sit together beneath the shade of a honey tree or enjoy a stroll through their Saturday Market (10AM-2PM). The staff at Agape Coffee House serves java junkies and coffee rookies with the same joy and positivity each day, every day, and they serve every coffee with exceptional artistic foams and in cups that rarely match. From creating your own unique personal tea service with sugar and cream, to live music, to purchasing vintage paintings or Afro Phil Coffee Beans, eggs, or root beer honey, Agape Coffee House is ready to serve. What makes this coffee house so unique is the way barista artist and general manager Jessica Robertson, and her mother Lisa Hansen (a Spicy Chai Latte enthusiast), welcomed others in the community to invest and shape the Agape Coffee House experience that has grown because individuals in the area donated things and time that their new business needed along the way to becoming who they are. A place where local post-modern art meets handcrafted birdhouses and the air is filled with Jack Johnson and Matt Corby tunes and the din of good conversations. It is a place where, “all feel welcome” and the staff are trained to “love people,” Jessica said hurriedly to help a new customer. Jessica and Lisa have teamed up to create an eclectic community coffee house by sharing in the beauty of Payette’s creative gifts, artwork, unwanted furniture, and business interests. The tables and chairs are a mix of estate sale meets vintage-cabin-relaxed and three of the tables Jessica and a friend built from a kit. Many of the chairs are classic kitchen era (ca. 1960's) who had lost the rest of the set sometime in 1980 and have now found a home. Returning to our table Jessica shared again Agape’s vision with a smiling peaceful sigh, “Well, we want people to experience a place that makes them feel valued and appreciated.” Agape Coffee House is where anything and anyone is welcome; where you can connect and be recognized for who you are; where the past, the lost, and the new are given a unique space to be together at table; where people feel at home with a vibe that their future is good. Looking For A Coffee Shop On Wheels? Welcome to Slow River Coffee! Owner and independent coffee shop entrepreneur Sid Gauby invites you to enjoy a quality espresso; mobile style. 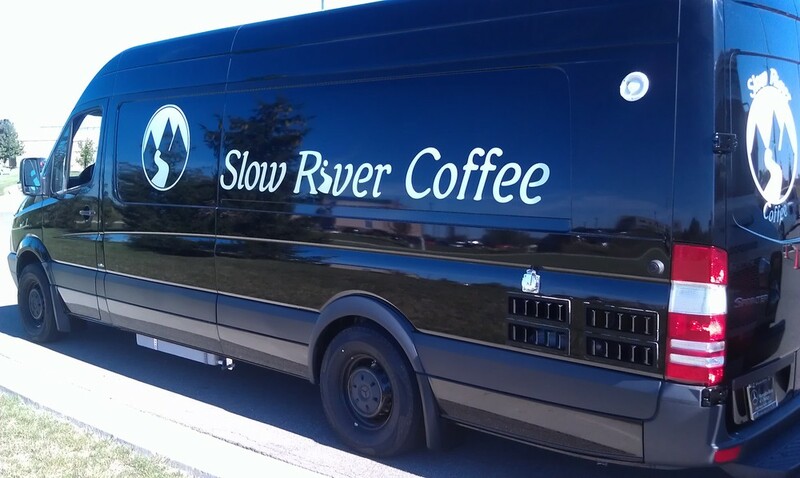 Dependable as the aroma of fresh roasted coffee beans Slow River Coffee literally delivers a delicious cup wherever they park their coffee truck. With warmest expectations for their homecoming, Sid Gauby and Slow River Coffee are happy to drive up and welcome the Treasure Valley to a new experience in quality coffee and great customer service; mobile style. Looking for a Coffee Shop Catering to Your Unique and Awesome Self? 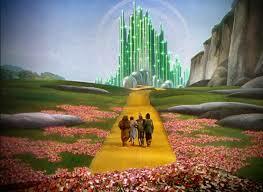 Like Dorothy in the Wizard of Oz there are a few bewildered coffee reporters calling out a different reality because they are caught up with Rachel Woldoff, Dawn Lozzi, and Lisa Dilks’ interesting sociological research based on three Starbucks and three Independent Coffee Shops in Boston. According to these reporters, the sociologist's discoveries somehow lead to a conclusion proclaiming Starbucks as the proven winner over independent coffee shops in all things related to customer service. Albeit limited in scope in terms of defining the multifaceted layers of what it means to provide excellent customer service, these sociologists’ research challenges the old ideals of Ray Oldenburg’s understanding of a healthy community’s need for a third place, and begs an answer to the age old question for the 21st century independent coffee house: Identity. An identity challenged by the demands of providing a quality product and outstanding customer service amidst the complexities of human needs and wants. Watched an elderly couple ordering at the Coffee Studio in Meridian, ID. They were asking for what kind of iced drink they should order from the barista. They “always” have something hot and thought they would “try something new” that day because it was going to be over 100 degrees for “the fifth day in a row.” The barista must have asked five or six different questions to both of them of what they preferred in an iced drink (they had several board choices and he took the time to create something they wanted, something unique). He commented on their life and how good it was to see them. The couple’s interaction was meaningful and genuine. It took time to place the order and create it. He told them, “If it’s not what you wanted, bring it back and we’ll try something else.” Crowning Starbucks as the great and powerful Oz behind quality customer service vs. the independent coffee shop’s courageous, heartfelt, and reasonable extra efforts to provide great customer service based on these limited conclusions will always favor Oz. That is not fair to independents or to Starbucks. The sociologist’s method is about challenging the old ideas of a third place that ultimately lead toward their findings of what they call “new third place needs.” What would be fascinating is to use Woldoff, Lozzi, and Dilks’s approach in cities and towns all over North America and see the results. My humble, accurate, and not so sociological opinion based on their system is that each demographic will prove Starbucks a winner 80% of the time because their process favors big box stores delivering what a customer wants (free WiFi, enough space for work, leisure, and discussions, identical coffee choices at every store) as opposed to also meeting customer needs. Excellent customer service provides for both, and will go the extra moment to create a product while genuinely recognizing you, engaging you in the moment, and that meets a need. Evaluating and critiquing the customer service of each independent coffee shop as if they all operate under the same homogenous classification as Starbucks (whose branding desperately demands homogeneity to promote their brand success) is like comparing a the city of Oz to small town in Kansas. They have their similarities and there are enormous differences. Many big box stores (Home Depot, Starbucks, Marriott) claim customer service as their specialty and go to incredible lengths to train their employees toward offering their brand’s understanding of what customer service means in relation to their brand (“Make sure the store is Grand Opening ready everyday before we open,” one of many Home Depot statements promoting their vision of providing the best customer service in the world). An individual coffee shop’s existence (and any entrepreneur in the service industry) depends on meeting the obligations and desires of every individual who comes through the door every day. Often times the experience of an independent coffee shop is as unique and great as you, and you do not have to go to Oz to find it. Looking to Spice Up Your Latte? Welcome to The District Coffee House! 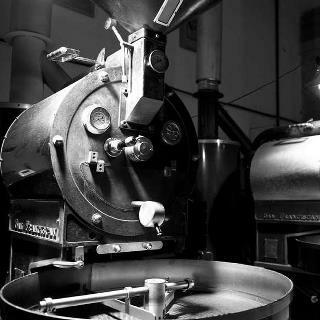 An independent local roaster, Saranac Coffee, roasts for the coffee house. When asked about her favorite coffee drink on the menu Kate asked me, “Have you tried our Cardamom Latte?” My no was followed with a request for spelling, “Cada what?” Kate continued with a smile, “C A R D A M O M, and it is this amazing spice from India.” Taking a breath she said, “We grind up the seeds of the spice with our beans and infuse it into an espresso. It goes great with our in house simple syrup.” With a quick trip to the land of Google we learn from the great and powerful Wikipedia that, Cardamom has a strong, unique taste, with an intensely aromatic, resinous fragrance. Black cardamom has a distinctly more smoky, though not bitter, aroma, with a coolness some consider similar to mint. 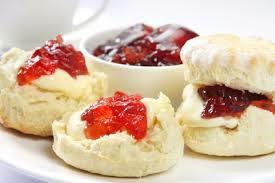 I’ll have one please. If you are looking to spice up your day order a Cardamom Latte at The District Coffee House and while you are there share the love. Looking for a Divine Home Roasted Coffee? Welcome to Starry Night Coffee! Sitting at the Estes family kitchen table near a propped open window is where the small electric home roaster fits perfectly. He plugged it in. He opened the roaster and removed the drum to show me how it looks and operates. Chad reached for an old hand made wooden napkin holder, knocked it on its side, removed the napkins gently stacking them, and placed a small black fan that looks like a mini torpedo on top of the felled stand directing the air to usher the roasting smoke and odors outdoors. Chad is methodical and follows an experienced plan to get the beans where he wants them. In order to roast these beans to their maximum flavor, Chad works with the machine’s timer so he can get the utmost time allowed for the temperature he needs and thereby giving him more creative freedom. Chad opened a brand new bag of green coffee beans he just received from Papua New Guinea. The beans smelled sweet. He carefully measured 14oz, placed them in the drum, and closed them in the roaster. He called out to his family with joy and a serious tone, “Hey everyone, Daddy’s roasting.” There was an echo from the rest of his family, “Daddy’s roasting.” Noticing the question mark on my face wondering why the need for the announcement, Chad said, “The house was built in the 40’s and the electrical cannot handle all of this amperage and we’ll blow a fuse. 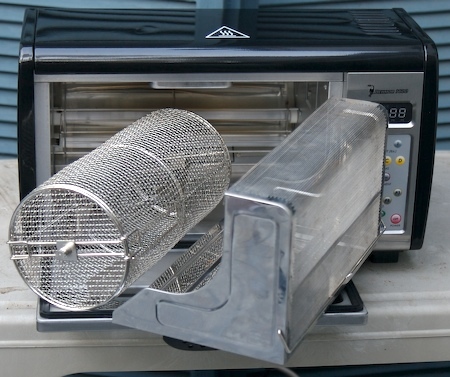 It’s frustrating to be in the middle of a roast and have the machine shut off.” When that happens the machine has to cool down before it can be reheated.” Remembering hair dryer incidents and toaster ovens and televisions and microwaves in our past, I chuckled. It was a gracious and hospitable interruption to the Estes family’s morning to offer a roasting seminar and twenty minutes later the microwave and dryer were being run according to family schedule and the lights went dim and Chad made the announcement again. Many of the family confirmed the announcement again with a fun forgetfulness in their tone. An hour and twenty minutes later Chad had roasted two pounds of the Papua New Guinea beans. Allowing me the opportunity to take in the full roaster’s experience, he poured the cooling beans into an old Tupperware mixing pitcher, stirred the two different batches together, and said encouragingly, “Go ahead feel them, take in the aroma. Do you see the difference between the two roasts?” Some of the beans were slightly lighter then the others. This is Starry Night Coffee’s unique blend. 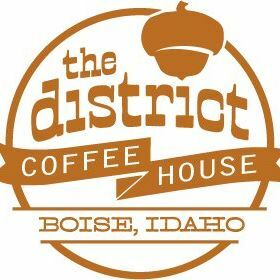 Looking For a Great Independent Coffee Shop to Hang Out in Downtown Boise? Welcome to the Flying M Coffee House at the corner of Idaho and 5th! “Unchained since 1992,” is Kent Collin’s favorite slogan from the Flying M. Kent is the owner of the downtown location and has been part of this coffee house for over fourteen years. He is as unique and funny as the store, and it was rather organic to conduct the interview on the floor amidst the freedom of the customer’s clamor. Sporting a Superman t-shirt his passion for DC Comics from the 70’s and 80’s are inked as well and a patron listening to our interview chimed in his support, “DC Comics rock!” His offering, as interrupting as it was for my naïve coffee shop normal, gave street cred to Flying M being a safe place. Ken laughed and responded encouragingly to him. It was a cool community vibe. As for Kent’s understanding of customer service since purchasing this location he spoke from a rich experience, “I will always work the counter, I never want to loose touch with our customers.” He rotates into ‘the front’ two days a week and wishes he could do more. Flying M’s jam-packed popularity is due to their great music, fun store, excellent coffee and great customer service. Kent said with a teachable sprit and enthusiasm for learning all about being a coffee shop entrepreneur, “Great customer service goes hand in hand with how well employees are treated. If they are comfortable and happy they won’t ever want to leave. Look what happened to me!” Employee turnover is low and that contributes to an atmosphere of consistency for the customer. Kent said with candor, “It’s very nice when our customers know who is behind the counter" day after day week after week. Responding thoughtfully about the best things of being a coffee shop owner Kent said, “It’s been good to be able to make managers.” One of the biggest surprises of ownership is shared with a frown, raised eyebrows, and a chuckle, “The amount of book work and taxes because I am super not a math guy!” He credits Kevin and Lisa Myers’ help in tutoring Kent How to be a Coffee Shop Owner graciously speaking of their mentorship and friendship, “If Kevin does it I can do it!” Grateful for this opportunity of a lifetime Kent spoke humbly, “They gave me two years advanced notice to buy it.” Kent celebrated two years of being Flying M’s downtown owner July 1st of this year. Have you seen where coffee has been getting itself into lately? 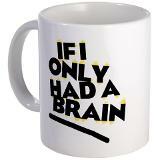 With the help of human engineering coffee is finding its way toward our stinky feet, overweight body, and enemas. An extract from green coffee beans can make you slimmer, coffee grounds infused into carbon woven into your socks take away odor, and a coffee enema is said to have naturopathic healing properties. And I just got used to ordering a skinny vanilla latte out loud. Can you imagine what our baristas/RN’s might have to prepare for in the future? Welcome to Café Sundontshine. What can we get for you today Dr. Lobaugh? I’d like the preventative foot odor latte with a shot of weight loss espresso extract? Would you like that orally or rectally to start your morning? All jesting aside, coffee has been getting through and to us in more ways than we probably want to know, and at the same time we are happy for what coffee discoveries are made for our health needs, palette, and expression. Here’s to a simple delicious cup of joe from an independent coffee shop, old school. Cheers. Looking for Incredible Coffee Roasted by an Aeronautical Engineer and Served with a Vision for Urban Renewal? Welcome to the Flying M Coffee Garage! Driving up to the Coffee Garage in a reawakening downtown Nampa the garage’s Flying M sign gently captures your attention with the trees as a beautiful backdrop. The busy parking lot with bays pulling up to the garage doors with customers visiting in and around the cars, is reminiscent of a old time diner; and with the smell of roasting coffee hanging in the air as you walk to doors is a perfect invitation to something very unique. Entering the coffee garage is a mind blowing experience of engineering marvel woven with a delight of great gifts, the purple coffee roaster, a stage for live music, a graffiti band wall, a second story seating along a cat walk, bright color, and the coffee bar with friendly baristas. There are enough seats to give many of Nampa’s travellers rest with a great espresso, and enough power outlets for all of Nampa’s laptops, cell phones, and tablet-pads. When owners Lisa and Kevin Myers invited me to table and offered me a cup of their Honduran blend it was like sitting with old friends. Their conversation was quiet, gentle, meaningful, and humble. Kevin and Lisa’s thoughts about their history of leading from the middle of Boise’s and Nampa’s urban renewal since 1992 were unassuming. They both agree in unison about urban renewal, “It’s partly nostalgia, and we like to walk or bike between stores.” Kevin’s passion for music and roasting are discovered in the coffee he produces and the great live music he supports. Lisa’s vision for art meeting community, and finding the cool products their customers have come to enjoy is celebrated in her smile and the way customers linger and purchase. Their deep connection with the places and communities they serve have created a business model around attending to and assisting employees and customers. Lisa said, “We get a lot of neighborhood families who have a real sense of loyalty to us.” Kevin said nodding his head, “Even when we moved to this location people came from the first store in Boise to connect.” Lisa continued listening to Kevin with a smile of appreciation, “We want everyone who is part of Flying M to be recognized and understood.” The independent coffee customer is a small community and they have managed to develop long-term friendships and their faces beam with gratitude. Kevin shared about the joy of being an independent coffee owner, “You get the feel for the entire experience and all facets of the business and it also allows for creative freedom.” When asked about the importance of servicing a quality product Lisa acknowledges their coffee experience, “It’s got to be an A,” and Kevin responded with clarity, “A+.” They both smiled to each other with that trusted long term marriage smile encouraging their dreams. After hearing Lisa and Kevin’s journey there is a distinct joyful purpose of Flying M happily competing with the corporate big box coffee retailer numbing an already dull coffee palette of many consumers. About the new ways independent coffee roasters and entrepreneurs are creating new experiences for a growing number of consumers whose palette is becoming refined Kevin said about this important transformation, “The next phase in coffee shops is education. It would be great to set up cuppings and tastings at the roaster and help other develop an understanding of their own coffee palette,” especially for those who would enjoy a great interactive experience. Looking for a Quality Coffee Created with Passion and Joy? 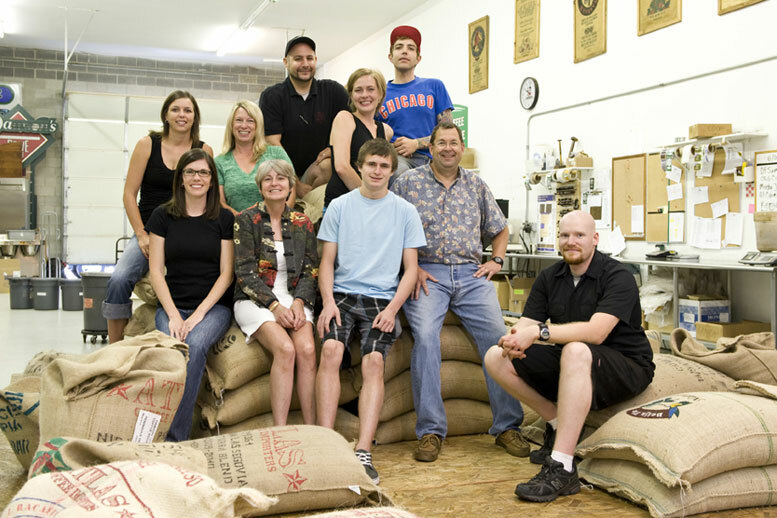 Welcome to Dawson Taylor Coffee Roasters! For eighteen years owner and entrepreneur David Ledgard has made it his life to roast and blend the highest quality specialty coffee and deliver an unprecedented customer service. Having trained with legendary coffee icons Jim Stewart and roast-master Peter Larsen, David shares his passion, love, and luck about everything coffee with everyone he meets. From children and youth, to business students and young adults, to roasters and coffee farmers, to vendors and green behind the beans newbies like myself David speaks with spirited forward thinking and creativity about what is real and human and all things positive about excellent customer service. We began the interview with smiles and laughter in the middle of a fast paced office environment. Inviting me into the coffee depot through a door with a sign on the warehouse side, STOP Happy Hour Now, it is the warming aroma of fresh roasting coffee that pauses you as it pours over you. Capturing my mind and breath for a moment it was like being surprised by a work of art. Listening to David’s histories while Sean roasted, order being packed and vans loaded for prompt roasting day delivery, David interrupted his narratives with introductions to each of the employees. What is most unique is his transparency. His directness draws you into this life of coffee and before you know it you are caught up in his wonder and passion. He spoke genuinely about almost closing their doors, employees rallying for a purpose greater then he imagined, and the risks and great rewards of creating a business out of his garage with a demanding clarity on the details of quality coffee and customer service. Whatever he, his family, and his employees have been through have only galvanized this hope he shared while remembering a beloved employee they suddenly lost to cancer a few years ago, “We know we can get through anything.” He said with weathered honesty, “You know, there really isn’t a cliff, only a rocky path,” and it is important for him that they greet challenges with a positive liberating attitude. David enjoys working with other artisan entrepreneurs and helping them create coffee beers and root beers and restaurants who are on the inventive unique edge willing to experiment with an espresso. They enjoy doing business with owners who care about quality and caring for the customer. Root Beer & Espresso? Abso-BlackSheep-lutely! Welcome to BuckSnort Root Beer and owner and independent root beer brewer and entrepreneur, Kainoa Lopez, who has created a root beer infused with independent roaster and coffee connoisseur Dawson Taylor’s espresso. Having Kainoa at their BuckSnort venue in the Capitol City Public Market on Saturday tapping this drink over ice and topping it with their homemade vanilla molasses whipped cream with his enthusiasm for life and joy for this masterpiece is fun and inspiring. 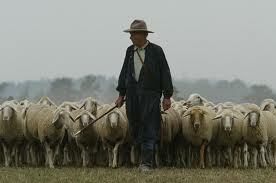 It’s called the Black Sheep and there is nothing like it on the planet. It will also wake your tired little baa, baa, baa’s up! We have enjoyed the brewed bean fusion several times and make sure it is always the beginning of every market trip. With Kainoa and crew’s hospitality, the market experience is one of Boise’s ExCCCellent customer service company’s where they Cultivate a long awaited attitude, Create a welcoming space, and Communicate with class. Let us know what you think of the Black Sheep or any of BuckSnort Root Beer creations. For Chad Estes home roasting is a multisensory necessity, inspired by a welcoming heart, with the perfect roast lying in-between one-hundred twenty seconds. He continued with a straightforward tone, “Lot’s of roasters just go to dark roast to maintain consistency with that kind of flavor for a mass consumer.” Sharing the phrase I learned from other roasters, “Burnt coffee,” Chad shook his head with approval and leaning into the table he said with a smile, “I think the real flavors of the coffee bean lie in between those two minutes.” Sharing with passionate clarity about a roaster’s tasks, “You know how you can see the beans and smell the beans, and you’ve got to listen to the beans as well.” He buys his own beans and keeps them fresh for roasting, only roasting a pound at a time, and he’s got his own espresso machine for creating steamed Americanos. Chad shared that he likes to roast a few beans from the same crop at the light roasting of the two-minute period, pull them out and then roast another batch of the same crop toward the darker side of the two minutes and then grind the two batches together creating a full spectrum of taste. Chad is a ‘seeking purist’ when it comes to roasting and other precious things in his life. Sharing about his home as a child he asked, “Remember when our parents used to flavor their own coffee?” I flashed back to a scene in our kitchen when adding broken cinnamon sticks to the coffee grounds was avant-garde. He continued with hand motions air measuring this part of the story played out from childhood, “A dash of cocoa, a little bit of powdered milk, a little bit of sugar,” and then he said with a distinct surprise, “That was the first café mocha!” He remembers his folks always having coffee ready for guests at any time of the day. Chad rarely goes to a coffee shop except as the perfect meeting place for clients and interviewers to begin building a relationship. We also spoke about hospitality. Table fellowship at a coffee shop and at his home is an important part of what he does and who he is. Like his parents he always keeps his home blends ready to be shared at anytime. He said with joy, “People come by our house all the time on their way to work or on their way to someplace and they swing by and help themselves to a cup of coffee.” He added with enthusiasm, “And sometimes I’m not there!” Hospitality with only a guest speaks volumes about an open door of trust. There are three hundred, two minute sets, in a ten-hour day. What happens if we focused on 10 opportunities each day to apply this simple and profound wisdom of seeking purity in the people before us: understanding the other’s otherness? What can happen with any given social connection from face to face, to tweeting, to Facebooking or texting, that engages this remarkable two-minute exercise where we can listen for the purist moment of the other person’s needs, values, hopes, dreams, or desires? What happens when we choose to take two minutes out of a meeting to focus on the person before us with the intent of asking and listening for those ‘pops’ of genuineness about who the they are, what they want to accomplish, or what genuinely inspires them? Try ten two-minute ‘purist interviews’ of people at work or at home today asking about what inspires them, who they are, what their dreams are and listen, listen, listen to what they say. You will be amazed at what this does for your heart and their life. Let me know what happens after a day or week of seeking purity with others. You can send your stories through the contact page. Will enjoy hearing from you. Thank you. For more about Chad Estes’ visionary work with Starry Night Media and story telling and photography for breast cancer survivors, life, and faith, please click on the highlighted words above. For more about Chad's inspirationary writing click here. 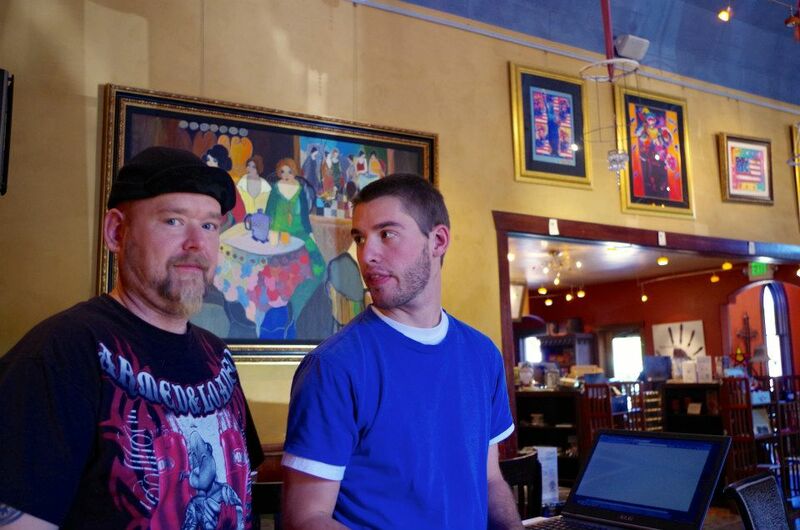 Independent Coffee Shop Owners Declare their Dependence on YOU! As we prepare for the Fourth of July with all that the Declaration of Independence, patriotism, and freedom means for everyone, independent coffee shop owners and local roasters proclaim their dependence on your uniqueness and they want to recognize you. Ready at the counter to make your cup of coffee the freedom of your expression, these baristas will stop at nothing to make your drink the way you want it. Each independent coffee shop has all their own unique coffee blends and lattes and smoothies that are fun to experience; and if you want to be really independent ask the barista or the coffee shop owner to make you the greatest cup of coffee they know how. Let them ask you what you want, what you like, what your in the mood for. 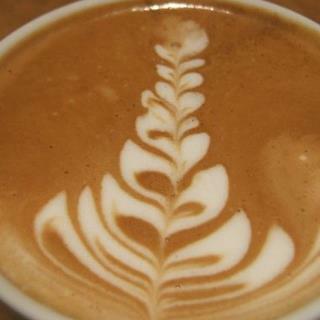 The real joy and challenge every independent coffee shop entrepreneur has, is to create YOUR perfect drink. Try an independent coffee shop this week, or the Fourth of July weekend, and put them to the test. 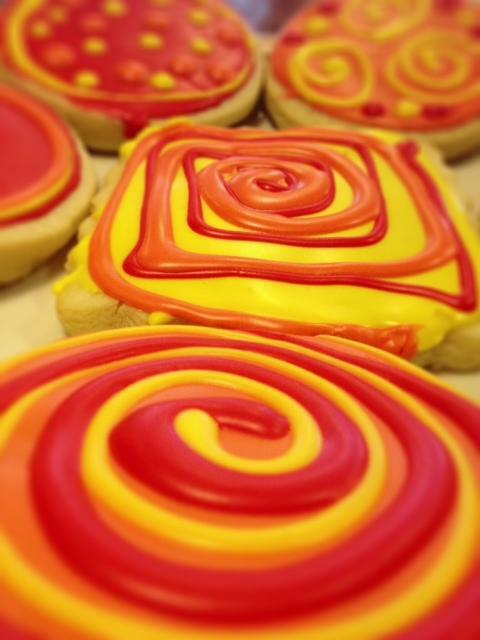 Here is a sampling of some of the independent coffee shop locations in the Treasure Valley. There is one on your way to work, on your way home from work, on your way to a friends house, or nearby your particular holiday get away. This Fourth of July declare your dependence on an independent coffee shop and order something you really want to satisfy your personal coffee need, bakery desire, or whatever. They’ll be glad you stopped by and so will you. Coffee Rust Epidemic: Is there any Hope? With the recent eruption of coffee rust altering Central America coffee growers at the highest level in recorded history, we asked local roasters in Boise what affect that has on coffee production and what steps they are taking to deal with this unprecedented crisis. Harvey Stanley a roaster and administrator at Rembrandts Coffee House and Full Circle Exchange says, “It will definitely have an impact on next year’s beans,” and that they, “may have to look elsewhere to find the same type of bean and flavor” for their blends. He said, “It’s difficult to pinpoint what effect that will have locally right now.” Those areas affected will be harvested for next year’s coffee. Coffee rust is a fungus destroying the coffee plant’s ability to fully produce and allow the ripening the coffee cherry. The primary type of bean being attacked is the Arabica bean known for its more delicious flavor. The Robusta beans, not harmed by the rust and with a taste more tart and bitter, will probably replace many of the first hand consumer product you would brew at home or at the office. With over 370,000 jobs forecasted to be lost in Central America this year there are many factors contributing to the rampant outbreak of the disease and not much farmers or roasters can do about it now. Climate changes, combined with the incredible demand for coffee encouraging farming practices to radically increase supply in climates too harsh to the coffee plant, as well as loose restrictions on pesticides have all contributed to the outbreak. Ecologist and coffee specialist Dr. John Vandermeer of the University of Michigan and a professor in the Department of Ecology and Evolutionary Biology and at SNRE, said in an interview with Science Daily that, “sun-grown fields lack another fungus, and the widespread use of pesticides and fungicides and the low level of biodiversity found at sun-coffee plantations have likely contributed to the decline of the white halo fungus. Without white halo fungus to restrain it, coffee rust, also known as roya, has been able to ravage coffee plantations from Colombia to Mexico.” Vandermeer also noted, "The integrity of this once-complicated ecosystem has been slowly breaking down, which is what happens when you try to grow coffee like corn.” He continues with concern, "This year it seems to have hit a tipping point, where the various things that are antagonistic to the [coffee rust] in a complex ecosystem have declined to the point where the disease can escape from them and go crazy." Looking at the present and into the future, it may take the summer or fall for the fungus to be in remission, and another two – three years for coffee farmers ruined by this years disaster to begin seeing healthy plants, healthy coffee cherries, and profits restored; if they can wait that long. Many members of the International Coffee Organization (ICO) has outlined a six-page focus from salvation to prevention and keeping the public informed on the domestic and international effect this will have on farmers, harvesters, roasters, and coffee entrepreneurs. 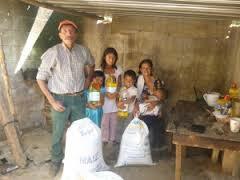 “This is the nature of farming and being dependent on crops and their seasons,” one roaster said with a serious tone. “How do you feel about the workers and farmers loosing their jobs and farms,” I asked. The ICO who has a plan to help sustain the coffee economy by strengthening “the global coffee sector” through international financing alternatives designed “to serve the long-term interests of coffee farmers,” offers hope especially with the constant global demand for this agricultural product second to oil production. At the first International Coffee Rust Summit and the summary of responses to the crisis prepared by the Regional Cooperative Program for the Technical Development and Modernization of Coffee Production (PROMECAFE) and the Inter-American Institute for the Cooperation on Agriculture (IICA) there is hope. With needs of the local farmers and harvesters increasing and demand continuing to rise, the IICA in statement six of their immediate responses has already put in place, "A program to support vulnerable populations such as small farmers and laborers and their families through food security and nutrition programs, generation of alternative employment opportunities, and social compensation measures." There is always hope. Want to See Life with Joy? Welcome to HeBrews Coffee! Located at 118 West Main Street in Emmett, Idaho. HeBrews Coffee offers a terrific cup of coffee and a one of kind atmosphere with the owner peacefully prepared to help you with a new vision on life. When asked about the name of the shop David said, “I brought my home group down here and shared with them, ‘I believe God wants me to start a coffee shop here.’ Pray with me over this and please write down anything God puts on your heart.” He chuckled and said shaking his head at how this whole story has unfolded for him these past few years, “So one of the women in our group called and said that she was led to the book of Hebrews and then to the address 118 W. Main. Hebrews 11: 8 says, 'It was by faith that Abraham obeyed when God called him to leave home and go to another land that God would give him as his inheritance. He went without knowing where he was going.'" It has become a key verse for them because it connects their story with the Biblical story and of how they ended up in Emmett and in the coffee business. David retires tomorrow from a long career as an optometric technician to focus full time on HeBrews and making great pastries (and perhaps work more with their wonderful way cool donut machine). It appears David Beck is also going to continue to help people see better; envisioning themselves with an image of a greater love to guide them toward unprecedented joy.